TOKYO (Reuters) - Renault's chairman will meet Nissan Motor's CEO this week in Japan as they look at ways to cement their partnership after the ouster of former alliance leader Carlos Ghosn, the Japanese automaker said on Tuesday. Jean-Dominique Senard, named chairman of the French automaker last month, will visit Nissan's headquarters in Yokohama to meet the company's executives and become better acquainted with its Japanese partner. "Nissan CEO Hiroto Saikawa is eager to familiarize Senard with Nissan and Alliance operations to optimise their work together," the automaker said in a statement. 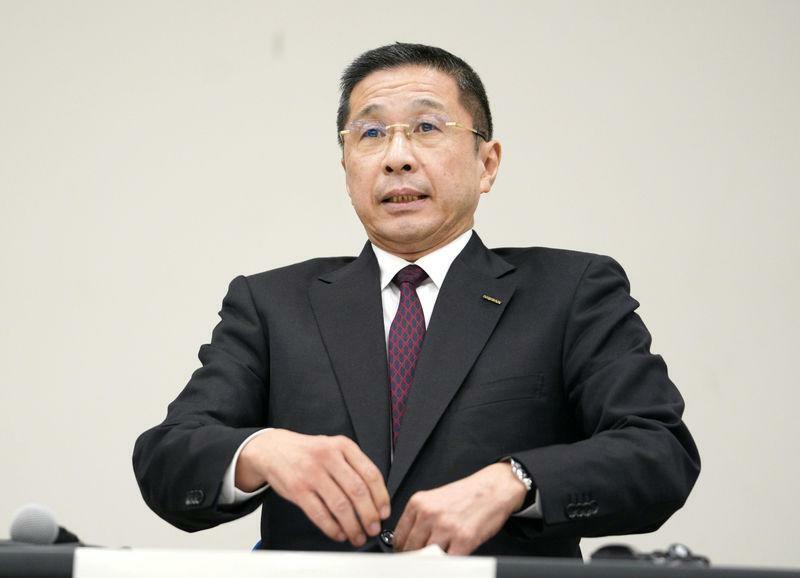 Earlier in the day, Saikawa told Japanese media that he was keen to smooth Nissan-Renault relations that have been strained in the past few months following Ghosn's arrest in Tokyo and his immediate dismissal as Nissan chairman. "First of all, we have to restore trust and stabilize the relationship," the Nikkei quoted Saikawa as saying. "We want him to know more about Nissan's (management) team." Kyodo news reported that Senard would visit for two days from Feb. 14. Senard, formerly CEO of tire maker Michelin, joined Renault as chairman in late January after Ghosn was forced to resign from the French automaker in the wake of his arrest on allegations of financial misconduct. Ghosn has been indicted in Japan for under-reporting his Nissan salary for eight years and temporarily transferring personal losses on to the automaker's books around during the global financial crisis. The once-feted executive, credited for turning around both Renault and Nissan, remains in detention as he awaits trial that could be several months away. He denies any wrongdoing. Speculation about the future capital structure of the Renault-Nissan partnership has been rife since the arrest of Ghosn, who had been exploring ways to make the alliance "irreversible" before his arrest. But Saikawa has argued it is not time to discuss the ideal structure of the alliance, although he has said he wants to work closely with Senard who will likely sit on Nissan's board. The automaking alliance has been underpinned by Renault's 43.4 percent stake in Nissan, which in turn owns a 15 percent non-voting stake in Renault. The French government owns a 15 percent stake in Renault. The head of Japan's industry ministry on Tuesday denied media reports that the government had been told by France that it could lower its stake in Nissan, Jiji news reported, echoing a similar denial by France's finance ministry last week.